This is a list of ways pride is manifested, taken from Chris Moles’s book, The Heart of Domestic Abuse: Gospel Solutions for Men Who Use Control and Violence in the Home (50-54). Some of the points are paraphrased in my words. The numbering does not match the book’s. 1. Anger. because my rights or expectations are not being met. 2. Better than thou. The proud person sees themself as better and smarter than others. A constantly critical spirit reveals this attitude. 3. Talking too much. Proud people talk a lot because they think what they have to say is more important than what anyone else has to say. 4. Seeking Independence or Control. Proud people don’t like submitting to authority; they have to be in charge. They have to have it their way. They don’t like accountability; they won’t be told what to do. 5. Unteachable. Proud people know it all. Their opinions are always right. They don’t understand because they won’t understand. 6. Hurtful. Proud people are unkind to others. They belittle others to control or build themselves up. Very often hurtful words are guised as jesting. 7. Lack of service. Proud people don’t serve others unless they will get recognition for their service. 8. Lack of compassion. Proud people are self-centered; they are rarely concerned about others. Self-serving motives are usually behind the occasions a proud persons shows concern for another. 9. Unable to admit you are wrong. A proud person always has an excuse. 11. Voicing opinions when not asked. A proud person can’t keep their views to themselves. Conversations quickly turn into opportunities for the prideful to express their opinions. These expressions usually involve putting others down. 12. Minimizing your own sin. Proud people make much of the faults of others and little of their own. Other people are always the problem. 13. Using others. Proud people view others in terms of what those people can do for them. Everything is for them and about them. 14. Deceitful. Some proud people will do or say just about anything in order for others not to find out negative things about them. 15. Using attention-getting tactics. Proud people employ various methods for getting attention. Complaining, grumbling, always talking about their problems, outbursts of anger, sulking, self-pity, bizarre behavior, etc. 16. Not having close relationships. Proud people don’t experience real intimacy or friendship. They are either too self-sufficient to invest in another or they just use people. Here is a link to Dr. John H. Gerstner's last message, "How the Saint Lives" - First time available online! It was delivered on 3/17/1996 (one week before he went on to glory at the age of 81) at a conference. "All by the Grace of God," at Westminster Reformed Church of Johnstown, PA. Gerstner taught Church History at Pittsburgh Theological Seminary as an ardent defender of not only Reformed theology but also evangelical Christianity. He is famous for his mentorship of the late R.C. Sproul, who regarded Gerstner as having the greatest impact on his life not only as a theologian but also a Christian. Ever read a book written by a Puritan? It’s not an easy read, for sure. But if you can get past the difference in language and writing style, it’s well worth it. The Puritan paperbacks published by Banner of Truth are Christ-centered, practical-theological, and deeply biblical. 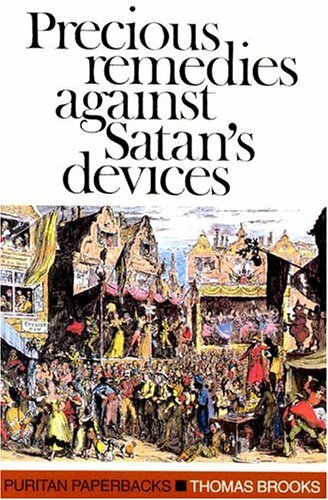 If you’re interested but not sure where to start, let me recommend Thomas Brook’s, Precious Remedies against Satan’s Devices. Here’s a very brief overview. Precious Remedies was written to identify the ploys of the devil and counter them with gospel truth. Brooks warns: “Satan hath several devices to deceive, entangle, and undo the souls of men” (26). In other words, Satan employs numerous strategies with a singular objective — to destroy men and women. The devil employs snares tailored to his target. He has “snares for the wise and snares for the simple; snares for hypocrites, and snares for the upright; snares for generous souls, and snares for timorous souls; snares for the rich, and snares for the poor; snares for the aged; and snares for youth” (28). Therefore, Christians must put on the whole armor of God (Eph. 6:11). But it’s not just believers Satan aims to harm. He wants to lead every soul away from God into eternal destruction along the pathway of sin. The first major section of the book describes twelve schemes the devil uses to draw people into sin. After stating each device, Brooks explains specific biblical remedies. The various ploys of the devil prove he deserves the name “deceiver.” He lures people to sin by “presenting the bait and hiding the hook,” by “presenting God to the soul as One made up all of mercy,” by “persuading the soul that repentance is easy,” by focusing peoples’ attention on the supposed benefits of living in sin and the sure suffering of living for God, and by entreating people to compare themselves to others regarded as worse sinners in order to justify themselves. The next section identifies the strategies of Satan for keeping believers from trusting and obeying the Lord. Satan dresses up the world in glamorous garb and struts it before the believer; he presents the “crosses and losses” of Christian discipleship; he presents the challenges of living the Christian life; he highlights the humiliation of believers; he tempts the saints to trust in their religious performance as grounds for pardon and acceptance with God. In an appendix, Brooks describes five more devices of Satan, seven characters of false teachers, six propositions concerning Satan and his devices, and a conclusion with ten special helps for fighting against the wiles of the devil. The five devices mentioned in the appendix are common spiritual struggles which every pastor encounters in ministry. How should pastors counsel people who says things like: “I’m too great a sinner to ever go to Christ,” or “I need to reach a certain level of remorse and repentance before I’m fit for Christ,” or “I don’t believe Christ desires to save someone like me,” or “I’m uncertain I’m elect.” Brooks equips readers with gospel truths to overcome these ploys of the evil one. This brief overview focused on Satan’s devices. Brooks would encourage us to go on now to meditate on Christ and the precious remedies he supplies so that by the grace of the Lord Jesus, God will crush Satan under our feet (Rom. 16:20). The Missions and Outreach Committee (MOC) exists to serve and equip the congregation to be involved in the work of local outreach and worldwide missions. To that end, MOC has been discussing how we can effectively encourage congregational involvement in the work of the Great Commission. We have established several concrete goals we’d like to share with you. We have also developed practical plans for meeting these goals by God’s grace. Regarding local outreach, our goal as a committee is to encourage and equip the congregation to reach their friends, family, and neighbors for Christ. The steps towards reaching the goal are: (1) Familiarize our church with Christianity Explored (CE) in an Adult Sunday school course; (2) Begin annually hosting CE courses, ideally in a church member’s home. Each year we would like to host a CE Bible study in a different neighborhood in the Johnstown area. CE is a reliable curriculum which leads people through the Gospel of Mark. Other congregations have found it to be a helpful tool for local outreach. Using CE annually is one small step we encourage taking together as we move towards being more proactive in the work of evangelism. Another goal the committee established is to promote regular and earnest prayer for missions and outreach among the congregation. To reach that goal, a member of MOC will begin regularly updating the missions prayer list printed in the bulletin to help you pray for our missionaries. Secondly, we will begin devoting some corporate Sunday evening prayer times to praying for our missionaries, the work of missions, and local outreach. A member of MOC will create a prayer guide for those occasions to help everyone participate. The work of missions and evangelism is the work of the triune God through his people; therefore, we must be earnest in prayer, asking God to bless the work of his people. A third goal relates to our long term plans and international missions. While we are eager to support mission works around the world, MOC is taking steps toward adopting a particular part of the world as a place where we will intentionally seek to advance the gospel. We want to concentrate the resources of Trinity to further the work of the Great Commission in an area of the world where there is urgent need for church-planting and discipleship. The committee is in the early stages of identifying an area of the world where we can get involved. Once a mission partnership is established, we would like to begin sending members of Trinity onto the mission field for short-term visits to support, encourage, and help our long-term missionaries. This will also enable our members to report back to us on the progress of the work. We will keep you informed as the committee continues to take steps forward to meeting this long term goal. The work of the Great Commission isn’t finished! God has placed us together in Johnstown to reach others for Christ. God has also called us to participate in and support the work of sending ambassadors to the ends of the earth to proclaim Christ and summon people to enter into his kingdom by faith and repentance. May the Lord enable us to be a disciple-making, church-planting church. At Trinity we are committed to singing psalms and Bible-based hymns and songs. We love to sing the God-inspired psalms, and we delight in singing biblically saturated hymns and songs. Historically, psalms have been central to the prayers and praise of God’s people. Sadly, psalm singing has fallen on hard times in recent years, but that’s changing. Christians are realizing afresh the joy of singing psalms. The psalms point us to Christ and describe the Christian life. The psalter is also the hymnbook Jesus grew up singing. And before that, these are the songs believers in the Old Testament sang together in worship. When we sing the psalms, we stand in line with that great tradition going back thousands of years. Another reason to appreciate psalm singing: they express the full scope of the Christian experience. John Calvin called the psalms an anatomy of the human soul. Contained in the psalms are songs of praise, thanksgiving, repentance, lament, and more. There are songs for every occasion and every emotion. There are psalms of praise and rejoicing as well as songs for broken-hearted, lonely, victimized, and depressed Christians. In the psalms, God has given his people words to express our joy and delight in God as well as the deepest pains and disappointments in the context of worship. If the biblical psalms are to be seen as normative for the Christian life and worship, then there is surely an unhelpful and unhealthy imbalance in many churches where songs of lament have virtually disappeared. As someone recently asked, “What can miserable Christians sing?” The answer is the psalms, a divinely inspired hymnbook. The hymnal portion of the TPH is also a tremendous resource for singing. It is a slimmed down version of the Trinity Hymnal. Whereas the Trinity Hymnal contained 742 hymns, the TPH has 424. The goal was to keep the best hymns of the past as well as add many newer, contemporary songs. 65 new hymns have been added that were not in the Trinity Hymnal. Because of our commitment to singing the psalms and the best Bible-based hymns from the past and present, the TPH is a ideal resource for our worship. This is why I am delighted to introduce the Trinity Psalter Hymnal (TPH). It will give us opportunity to sing the Bible’s own hymnbook along with many old and new hymns we enjoy singing together. On Sunday we begin using the TPH in worship. My hope is that we will quickly come to appreciate this resource for worship. May the Lord use this Psalter-Hymnal to help us worship our triune God together! For an upcoming course, one of my assignments is to summarize my philosophy of preaching in less than two pages. I was to write it as if addressing another pastor. Here's my attempt. The preaching of the Word is an ordinance of God for the gathering and perfecting of the saints. Faithful preaching is marked by the following characteristics. Prayerful Preaching. Preaching is spiritual labor. You ought to prepare and preach in reliance upon the Spirit. Every sermon should be bathed in prayer. Studied Preaching. “Preaching requires much study, meditation, and prayer, and ministers should prepare their sermons with care, and not indulge themselves in loose, extemporary harangues, nor serve God with that which costs them naught.” Pastors should also keep their studies in the study. Hearers do not need to hear every detail about the pastor’s exegetical labors. When baking bread, the ingredients and cooking are done in the kitchen (the pastor’s study); the sermon should be presented as the baked bread served fresh to the people of God. Consecutive Expository Preaching. By consecutive I mean systematically working through a book of the Bible verse-by-verse, chapter-by-chapter. This should be the ordinary method of preaching because over time it sets before the people the whole counsel of God. It sets forth God’s character and the person and work of Christ in all of Scripture. It forces you to deal with the hard parts of the Bible. It gives a healthy variety to preaching. It sets your preaching schedule. It keeps you off your hobby horses. By expository I mean “preach the Word” (2 Timothy 4:2). Preach the Bible from the Bible. What is preached should be drawn from a specific text. Therefore the sermon should ordinarily be tethered to a specific text of Scripture. The goal is to expound that pericope and apply it to the hearts and lives of hearers. God-centered Preaching. Major on the greatness and majesty of God. Preach what has been called a “big-God theology.” Common to preaching today is an emphasis on man and man’s problems. We need to hear more about God and see ourselves and our problems in light of who he is. Christ-filled Preaching. The person and work of Christ is the substance and goal of Scripture. Every sermon should point and lead to, set forth and exalt the Lord Jesus Christ. Didactic Preaching. Preaching and teaching are not synonyms. But faithful preaching includes instruction. Teach people the doctrines of the Christian faith. The need for sound teaching is urgent in our time. Positively to equip the saints with the truth; negatively to guard against false teaching within and without the church. People need to learn how to think Christianly, with a biblical worldview. Plain Preaching. Plain isn’t simplistic. Plain, clear preaching is not easy to achieve, but it’s what people need. Aim to be understood. 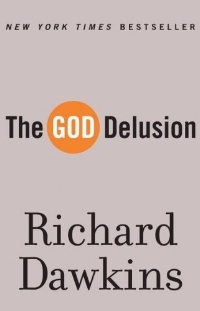 Don’t obsess over theological debates or fads. Don’t use the pulpit to show off your learning. Focus on the fundamentals of the faith. Devote yourself to clarity. Proclaim the gospel in language that can be understood by all. That’s not to say you shouldn’t use theological terms (i.e., justification, sanctification, union with Christ, etc), but strive to ensure the people understand what those words mean. Expectant Preaching. Believe that preaching is a God-ordained means of grace. Trust that the word of God is living and active and sharper than any two-edged sword. Speak with the conviction that by the power of the Spirit the gospel saves and transforms lives. Experiential and Transformational Preaching. The last course I took in the DMin program was taught by Dr. Joel Beeke. He argued that the greatest weakness in Reformed preaching today is a lack of experiential preaching. Experiential preaching aims to apply biblical truth to all of the Christian life and experience as well as the unbeliever’s life and experience. The goal of experiential preaching is the conformity of believers in all of life to Jesus Christ. Experiential preaching is drawing back the arrow (God’s word) and aiming for the heart. It’s applicatory preaching — bringing home the truth of God to the lives of the people of God. Experiential preaching is motivated by the conviction that doctrine is for life. It aims for authentic Christianity lived out through the saving power of the Spirit, not a false Christianity in mere religious forms and empty words. By transformational, I mean Spirit-wrought change worked through the ministry of the word, evidenced in us through lives of faith and repentance, mortification and vivification. God intends to conform us to Jesus, and a chief way he accomplishes that purpose is the Word rightly preached, faithfully heard, diligently applied and worked out. Evangelistic Preaching. Salvation is the work of God, and he is pleased to use preaching to save sinners to the praise of his glorious grace. Preach for the conversion of men and women, boys and girls. Call people to repentance and faith in Jesus Christ. Set forth and offer Christ freely to all. Christian saw a picture of a very grave person hanging on the wall. This is what the man in the picture looked like: he had eyes lifted up to Heaven, the best of books in his hand, the law of truth upon his lips, the world behind his back. He stood as if pleading with men, and a crown of gold hung upon his head. Supported Preaching. Your life, in full reliance upon the Spirit of Christ, ought to commend what you preach. In public and private, the preacher’s conduct should be consistent with his preaching. This includes modeling repentance in the home and church. How should this philosophy of preaching impact pastoral ministry? Preaching must be a priority. You cannot be a faithful minister without faithfully ministering the Word. Other necessary pastoral responsibilities and unrealistic expectations placed on the pastor should not distract from this great task. You must be committed to feeding the flock (John 21:15). Faithful preaching leads the flock each Lord’s Day to the green pastures of God’s Word where the sheep are fed with the life-giving Word of God. It is God’s Word that gives life to, sustains, and nourishes the flock of God.